Rotana, one of the leading hotel management companies in the region, is focusing on Europe, especially Germany, as the group pursues an aggressive expansion strategy with a target of 100 hotels by 2020. The UAE-based group has been witnessing a steady growth in the number of European guests, Germans in particular, to its 58 operating hotels with 15,522 keys around the world, revealed Guy Hutchinson, the chief operating officer. Germany has become the fourth largest feeder market for Rotana, Hutchinson told TTN on the sidelines of ITB Berlin, the world’s leading travel trade show which was held in the German capital last month. With its stunning design and Arabian hospitality at its best with a variety culinary delights up for grabs, the Rotana stand was a star attraction at the ITB. The stand drew constant flow of visitors, who showed a keen interest in the group’s new offerings. The Group COO said as one of the leading hotel management companies in the region with hotels across the Middle East, Africa and Turkey, Rotana was in the German capital to capitalise on German tourists’ growing interest in the UAE’s diverse tourism offerings. The revenue contribution from the EU heavyweight to the company’s business has been growing steadily, hitting 6 per cent in 2017 compared to 5 per cent the year before, he added. "Germany is a huge market for us. We have a diversified approach and hence we are looking closely at all sectors including the cruise market, which has tremendous potential for growth. We are in constant discussions with cruise operators,” he said. 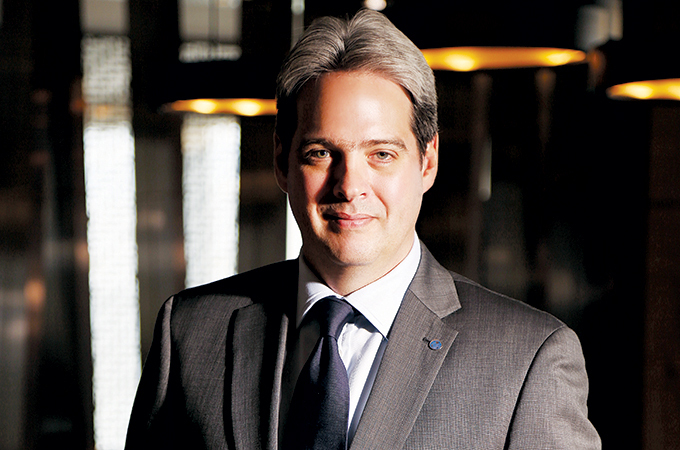 Hutchinson pointed out that the meetings, incentives, conferences and events (Mice) is another key segment for Rotana. The market is growing rapidly in the Middle East, particularly in Dubai, as it remains the top-choice for business, incentives and meetings and luxury travel from the GCC, he stated. Rotana is presently in talks with the German government and also with some senior officials from the UK in its bid to promote the group's UAE properties as perfect Mice destinations. "It’s perfectly in the way the German culture tends to work. Holiday or vacation Time is very important culturally for them and they invest heavily into that for that particular period. So no wonder we are seeing a 4 per cent uplift in the total amount of German outbound travel year-on-year," he added.